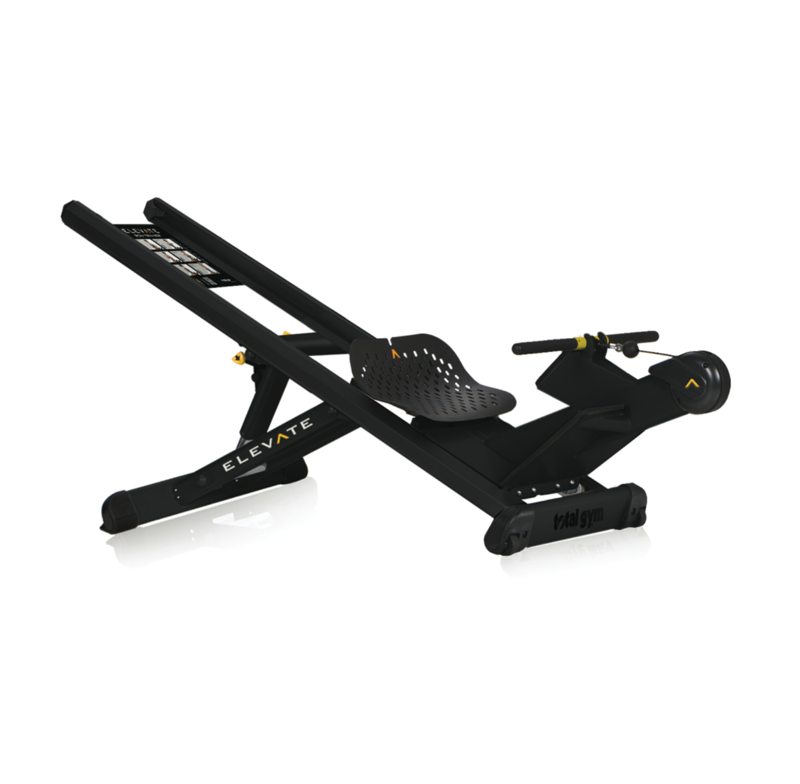 The only rower on the market on an incline, the ELEVATE Row ADJ™ features seven levels of adjustable bodyweight resistance and produces a full body workout, integrating a strength component into a traditional cardio machine. Simple and fun to use, the ELEVATE Row ADJ™ targets all the muscles groups simultaneously and enables a smooth consistent load through the entire range of motion, due to loaded concentric and eccentric phases of the exercise. The ELEVATE Row ADJ™ helps enhance basic core stability and strengthens basic muscle groups. The ELEVATE Row ADJ’s™ versatility makes it ideal as part of a self-serve circuit on the gym floor, for small group training, on the cardio deck and as part of boot camp high intensity interval training. Low level strength component with a cardio workout. Seven levels of resistance of rowing at an incline coupled with two independent moving platforms produces a workout that engages all muscle groups simultaneously achieving a quicker, more effective workout. Platform provides option for single foot positions. Provides both concentric and eccentric loading. Trains prime stabilizers & proprioception. Low compression on the joints, especially the lower spine. Full leg and shoulder strengthening. The resistance incline can be raised or lowered to adapt to all needs. Designed to adapt to all body sizes. Eccentric and concentric phase load. Low compression on the joints, especially the spine. Additional Duraband Pro for extra resistance comes standard. Ergonomically designed to perform correct rowing exercise. The ELEVATE Row ADJ™ does not fold. If you are looking for the version that does fold, you will want the ELEVATE Row™ which only has two levels of resistance. Can you change the incline of the ELEVATE Row ADJ™ as with other Total Gym units? Yes, there are seven levels of resistance. How much space does the ELEVATE Row ADJ™ take up? The Row requires an area of 12 square feet (1.1 square meters). The maximum user weight capacity is 400lbs (180 kg). “Our members and trainers love the new Total Gym Row Trainers. They can’t get enough! They are lined up waiting.” – Roger Sargent, General Manager – Cooper Fitness Center at Craig Ranch, McKinney, TX. “The Row Trainer is a great machine to use for personal training, as you can do many full body exercises – it’s a great workout and product. I highly recommend it.” – BJ Stevens, Owner – Real Time Fitness, Pensacola, FL.